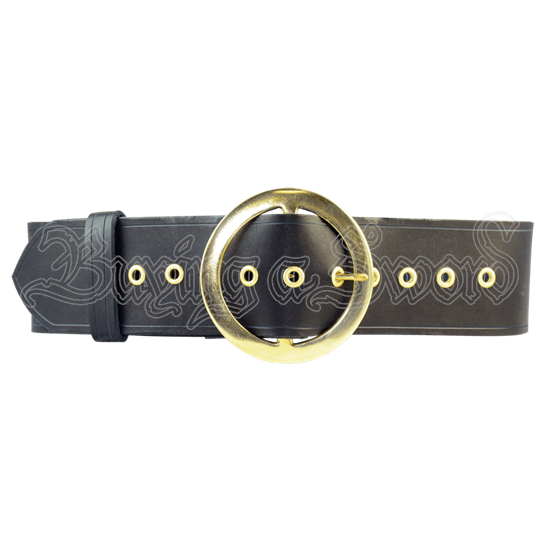 If you are putting together an authentic pirate outfit, our Pirates Wide Waist Belt is a must. This leather belt is 2.75 inches wide and has a solid brass buckle. Brass grommets reinforce the belt holes, resulting in many years of use. This stylish belt is available in black or brown, as well as in sizes are Small (28-35), Medium (33-40), Large (38-45), and X-Large (43-50).